Arm pain may be caused by problems of the cervical spine with irritation or mechanical compression of the cervical nerves that travel through this region and continue on into the arm. Damage to the nerves can lead to weakness, pain or dysfunction of the extremity. Common reasons for developing arm pain would be problems of the disc, such as a herniated disc where a fragment from the core of the disc called the nucleus pulposus herniates and compresses the cervical nerve within the spinal canal as they travel to the arms. Other causes would be chronic bone spurs that develop at the margins of the disc, or bone spurs that develop from overgrown arthritic joints in the back of the spine that also can compress and irritate the cervical nerves. 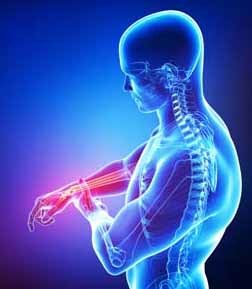 More rare causes of arm pain would be spinal cord compression which could result in weakness, problems of coordination, hand dysfunction and clumsiness, as well as altered gait patterns, and could involve not only the arms but chest, abdomen and lower extremities. Medical attention should be sought if you are experiencing numbness or weakness in your extremities, having bowel or bladder disturbances, headaches or fever, chest pain associated with arm pain or if the patient is having increased clumsiness of your hands, or gait imbalance.